Bethesda has detailed what they’ll be doing with their Season Pass in Fallout 4. They’ve also promised to provide free content updates throughout the life cycle, giving everyone small feature updates in addition to the usual bug fixes. 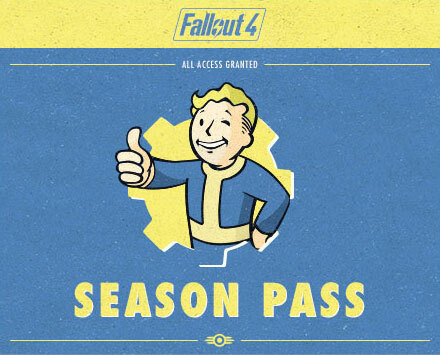 Fallout 4 Season Pass includes every piece of DLC they ever make for it. We’ve always done a lot of DLC for our games. We love making them and you always ask us for more. To reward our most loyal fans, this time we’ll be offering a Season Pass that will get you all of the Fallout 4 DLC we ever do for just $30. Unlike what some people think, DLC isn’t just holding back content until a later date to release it. Sometimes fresh ideas take time to process and translate into workable content in the game. Maybe the idea is sparked while someone is feeling good on a Monday, so the story hasn’t even been expanded in the way that we’ll see down the line. The one price for all DLC content isn’t necessarily a horrible idea given that that DLC is full of useful, fun and invigorating things to do. If developers just want to add skins and new weapon models, then it might not be worth it. As Bethesda says in their blog post, historically they’ve been able to add some great story details and other things that make their DLC worth the usual cost. That isn’t always true for all developers, however. Modding will also be a large part of Fallout 4, especially now that they’re going to allow the installation of mods on the PS4 and the Xbox One. The creation kit won’t be released immediately, but will arrive early next year for free. Apparently it’s the same tool they use in their own studio to create assets for the game, just as before. The most important thing in our games is the freedom you have to create your own experience, and modding is a big part of that. Like all our previous games, we’ve made sure to keep Fallout 4 open and moddable at every step in development. Early next year we’ll release for free the new Creation Kit for the PC. This is the same tool we use in the studio. You’ll be able to create your own mods and share them with others. We’re especially excited these same mods will then be coming to Xbox One, and then PlayStation 4.